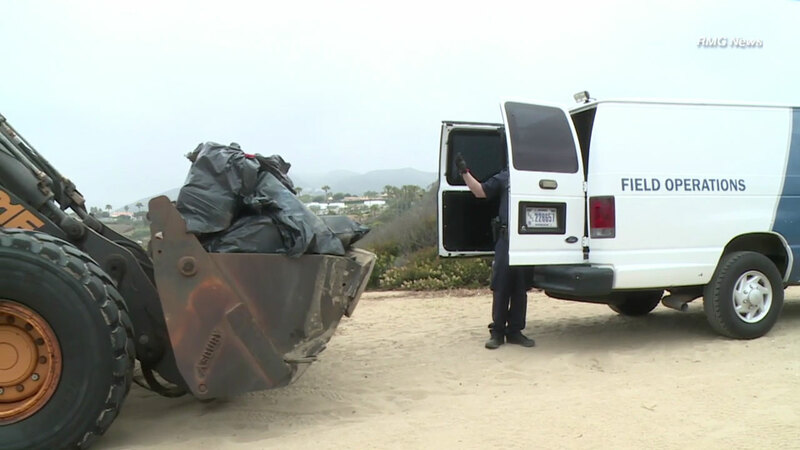 MALIBU, Calif. -- Authorities seized about 800 pounds of marijuana found hidden inside a boat at Westward Beach in Malibu Saturday morning. Los Angeles County sheriff's deputies were first on scene to discover the boat that was spotted along the shore. It was unclear if the boat washed ashore or was left there. ICE agents arrived and took part in the investigation. There were so many bags of marijuana that a front loader was brought in to get it into a truck. The boat was towed back into the ocean by investigators. No suspect information was released and no arrests were made.